The problem with current products on the outdoor backpack market is the sheer quantity of them. There is a bag for every single activity, even if the bags are made and sold by the same company. Patagonia’s website has 34 different types of bags and packs that all do the same job. 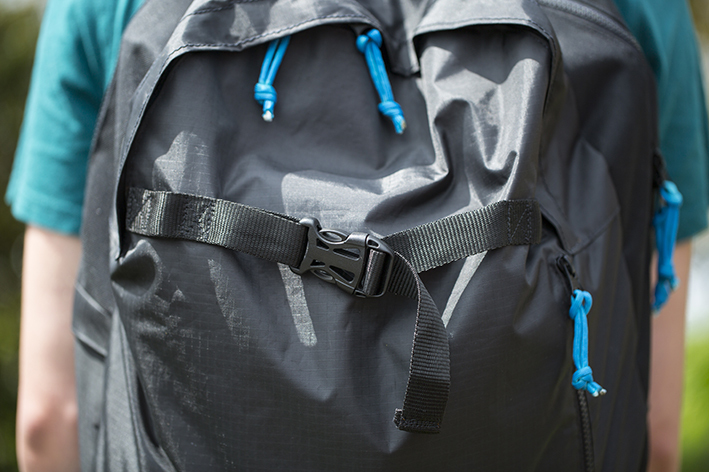 The thirty four types of bags then come in an assortment of three or four different colours and usually two sizes This is not just Patagonia, many of the top names such as Ortlieb, Lowe Alpine and Deuter also have a range similar to that of Patagonia. Analysing the features of many of the bags it’s apparent that you would be able to do the same job with one bag as you would with another dozen of the others. This creates a huge demand for unnecessary and often harmful materials. 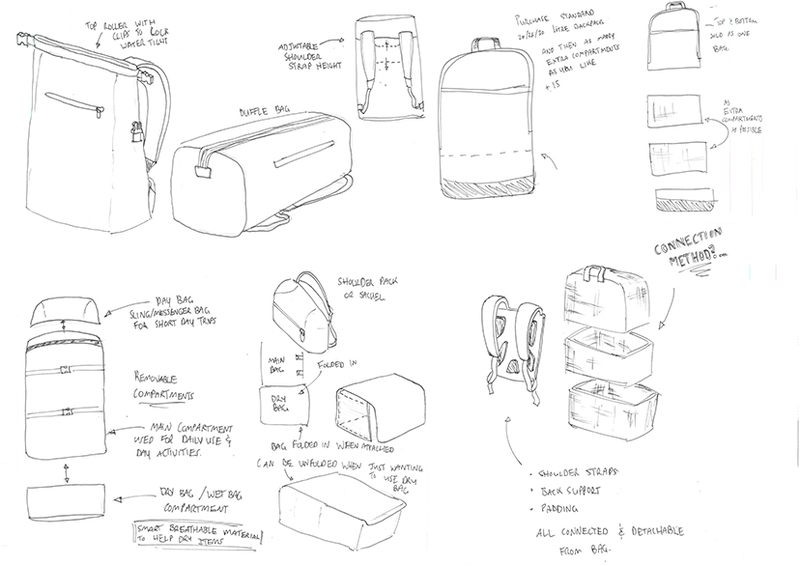 This is what I wanted to address in this project, by creating a backpack that can be used for multiple sports and activities. Reducing materials use in the outdoor industry, using sustainable options and manufacturing techniques, promoting sustainable adventure tourism to consumers. 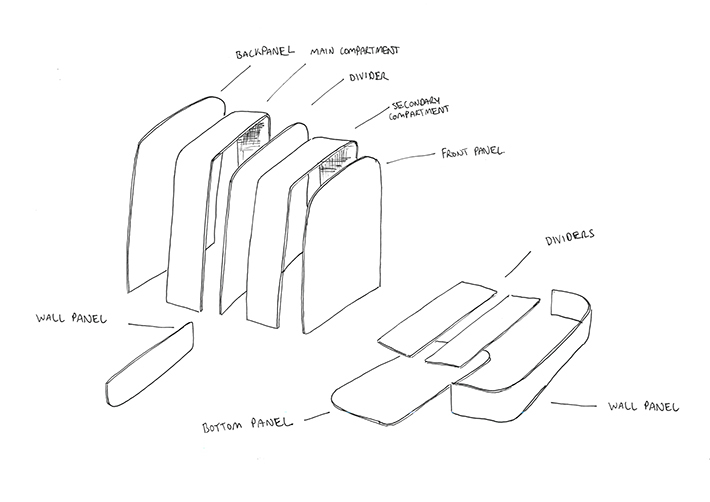 Even though the first prototype was very simple and was mainly used for deciding a shape and design, I was aiming the product at too much of a vast user group. Once evaluating the first concept I decided to narrow down my target audience to a few user groups that go hand in hand with each other, surfing, snow/ski and travel. These activities are very similar to each other and I wanted to target an audience that usually participate in all three or at least give the user the freedom and opportunity. 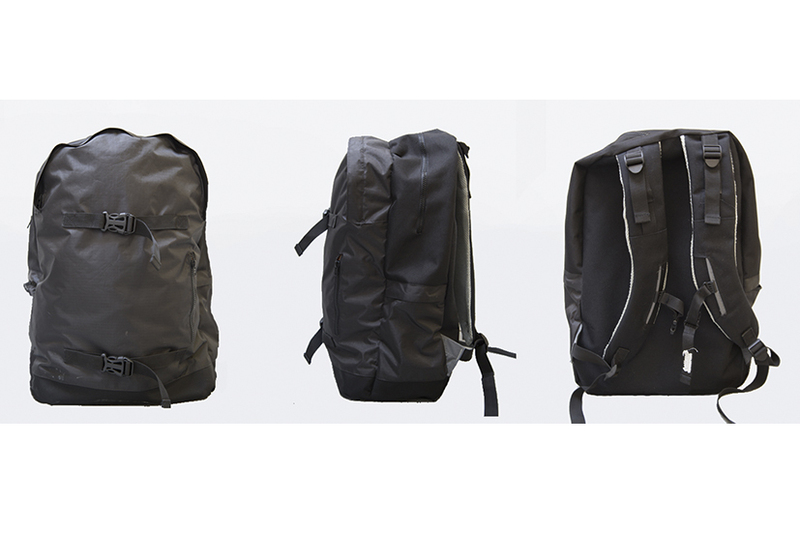 An all-weather, travel backpack that focuses on ergonomic adjustability, and the security of possessions whilst abroad. 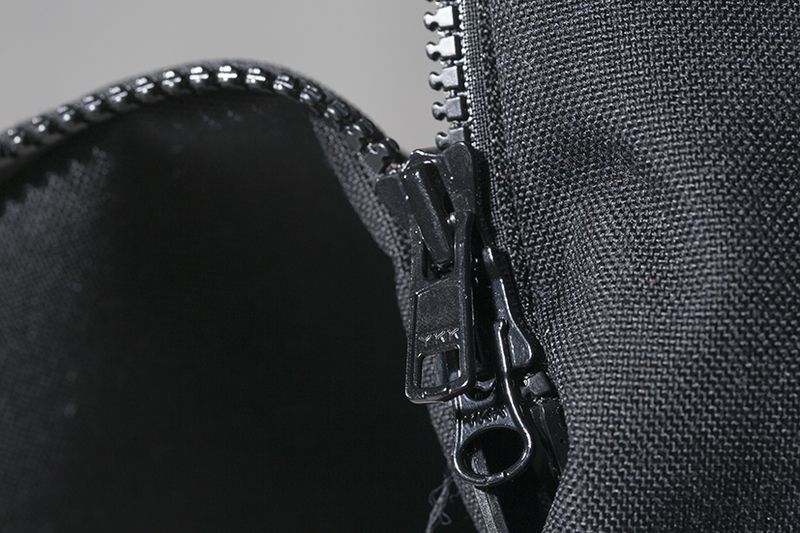 High quality materials and robust stitching increase the life-span of the bag, and provide long term reliability and reassurance for the user. Aimed at sports and adventure holidays, or travels that will involve high-impact activities, this outdoor pack is for people who enjoy travelling often, in all types of climates and conditions. 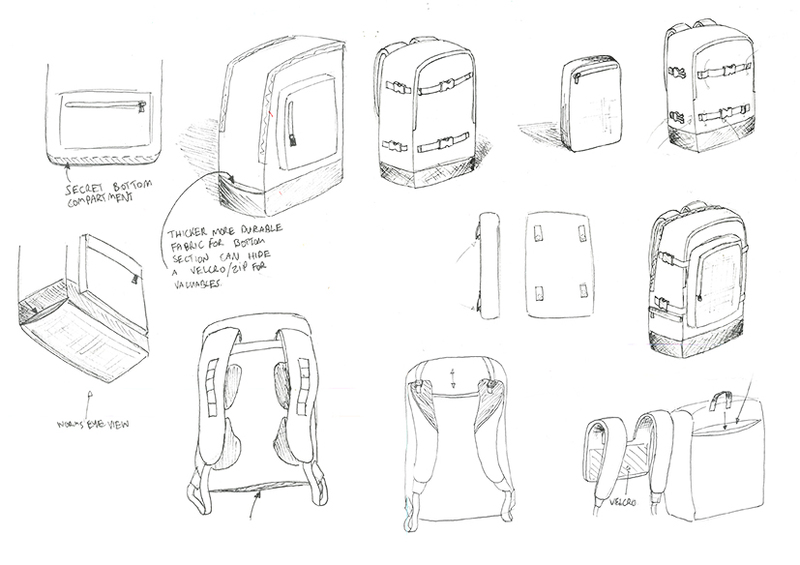 The backpack comes along with a compact fold out day pack, repair kit and travel journal. 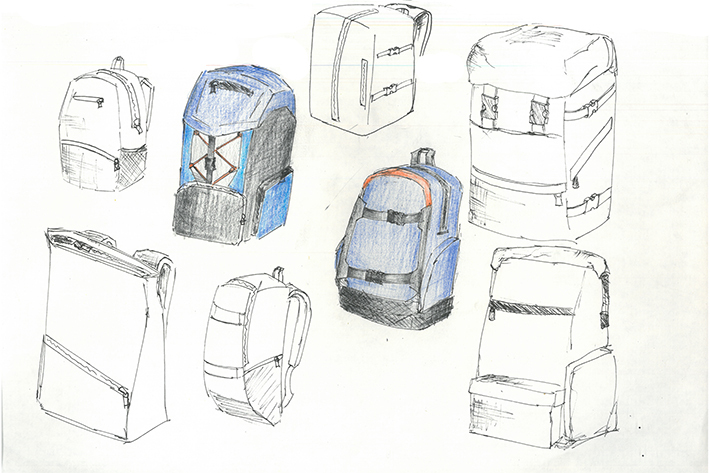 Which aims to build an emotion connection between the user and the backpack over several years where the user would repair the bag whenever necessary. 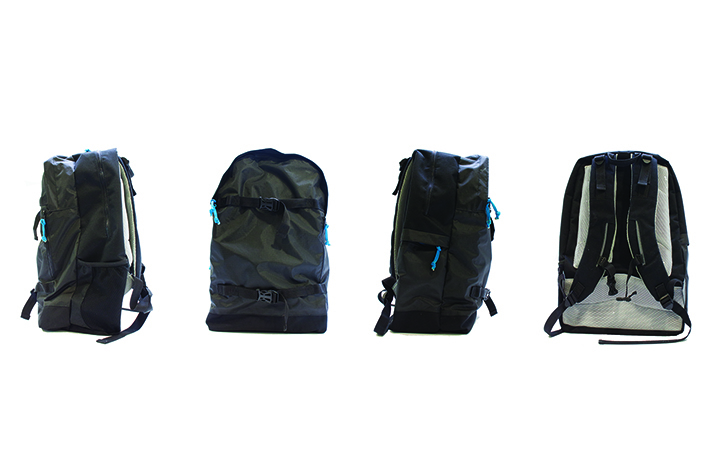 The backpack comes along with a compact fold out day pack, repair kit and travel journal. Over time the bag will endure harmful environments and conditions where it will inevitably gain scuffs, tears and holes. The idea is that the user would repair the bag whenever necessary with the kit provided. 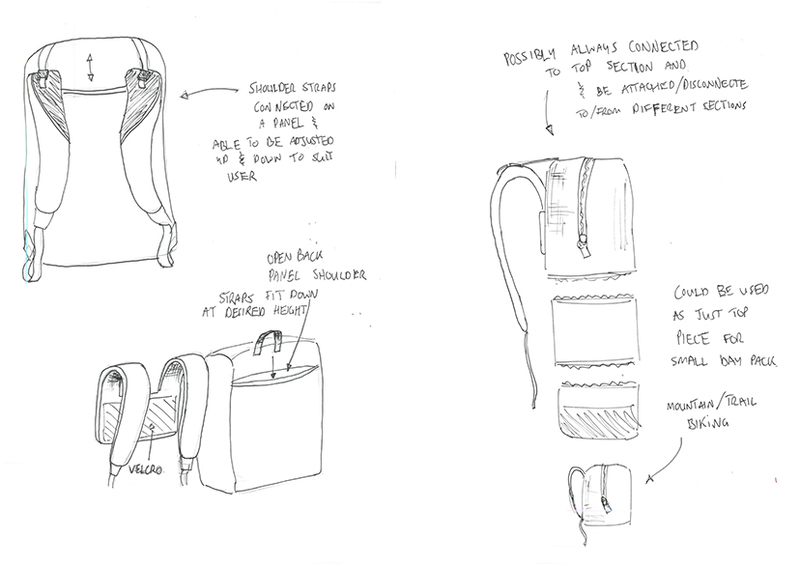 Trips can be jotted down in the journal and so can repairs, this gives the bag a sense of personality and a story to it where by the user would have an emotional connection and would keep the bag for as long as possible. I used callico heavy duty cotton before I made any prototypes, in order to ensure that I had all the correct measurements. It was used to test the template sizes and shape. It was very helpful as I made a few adjustments to the templates before making the bag. Once I had finished the second prototype and gathered user feedback. I used a marker to write on bag how I would make adjustments to the next prototype.